Comments: This semiwoody shrub is tropical and seldom flowers where it lives less than a year. It its native habitat, it flowers repeatdly with yellow to orangish flowers. 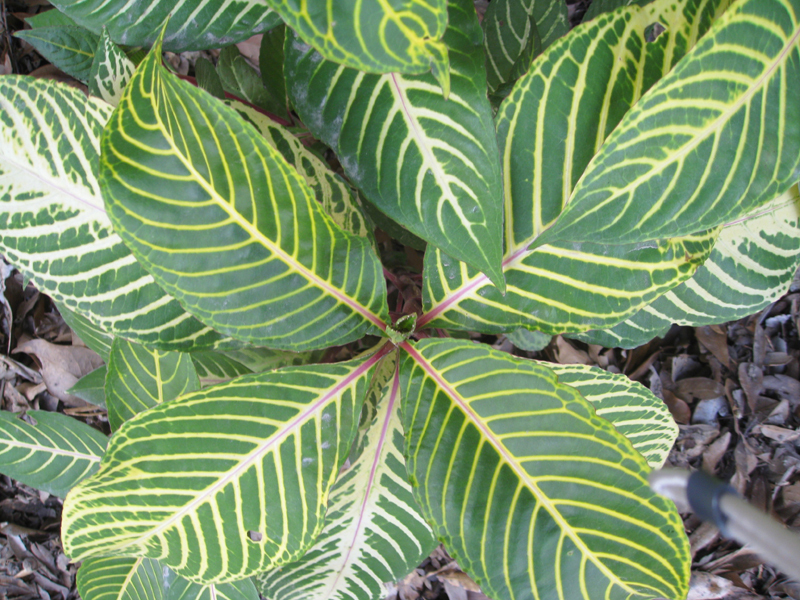 It is grown primarily for its colorful, variegated leaves and purple stems. Will live in hot sun only when other growing conditions are excellent. Grown as a container plant where it needs to be kept in relatively high light, with high humidity and kept moist.